Patriots win again in defensive slugfest! ATLANTA — They did it again. The greatest run in NFL history continues as the New England Patriots, in their 11th Super Bowl, dominated the Los Angeles Rams 13-3. It was the lowest-scoring Super Bowl ever, a physical, defensive battle captured by the Patriots in their record-tying sixth Super Bowl win, joining the Pittsburgh Steelers. But in this high-scoring, fantasy-driven age of the NFL, many will call Super Bowl LIII boring and lacking excitement, absent of the drama they’ve become accustomed to. Patriots Head Coach Bill Belichick may not have the most exciting personality among coaches in the league. He is, however, the best as the first head coach to win six Super Bowls. Though he ties George Hallas and Curly Lambeau with six NFL Championships, Hallas and Lambeau won championships prior to the Super Bowl era. Quarterback Tom Brady completed 21of 35 passes for 262 yards. He is the first NFL player to win six Super Bowls. The city of Atlanta, hosting the Super Bowl for the third time, did a magnificent job. The game played at the spectacular Mercedes Benz Stadium. The city of Atlanta paid $2.4 million to help build the new home of the Atlanta Falcons. Amazingly, the Patriots’ huge fan base among the 70,000 fans on Sunday gave the Patriots an overwhelming feeling of support. They made a lot of noise, drowned out the Rams’ support, and made it extremely difficult for the Rams to hear their plays on offense. This was my 38th Super Bowl, and I’ve never seen one team at a neutral game site have such a big advantage. The Patriots had the feeling of being at home at Gillette Stadium, where they are 91-1 at home when leading at halftime. The Patriots led at the half, but only 3-0. The way Brian Flores’ defense dominated the game, the Rams’ chances of winning were gone with the wind. The Patriots just stuffed the Rams at the point of attack in the trenches, constantly beating them to the punch. They held the potent running game of the Rams, led by Todd Gurley, to 62 yards. Rams quarterback Jared Goff faced consistent pressure all day, unable to set his feet in the pocket. The Rams have averaged 33 points a game, but considering the overwhelming experience advantage the Patriots had, the defensive slugfest was really tough going for them. It had to be something the Rams had not planned for. The Patriots were the fourth-highest-scoring team in the NFL at 27.3, so how does the game become so low scoring? Brady is 41 years old, the oldest player to win the Super Bowl. His coach, Belichick, is 66. Rams Defensive Coordinator Wade Phillips is 71. Those two great defensive minds battled and had their talented defenses ready. Rams Head Coach Sean McVay, now 33 years old in his second year, is the new wave — young head coaches. In the last two years, 14 new head coaches have been hired, most of them young and White with offensive reputations. The national media was ready to crown him the man who ended the Patriot dynasty. Losing back-to-back Super Bowls, having lost in Minneapolis, the Patriots seemed to be opening the door to crowning McVay as the new offensive NFL genius. But the Patriots, 14-5, refuse to go away, winning their third Super Bowl in five years. This team started the season 1-2 and was just 2-2 in December. Dynasty? Indeed. They are 282-121 since 1994. With six Super Bowls, they are the winningest team in all of pro sports. The Rams, 15-4, started the season 8-0. 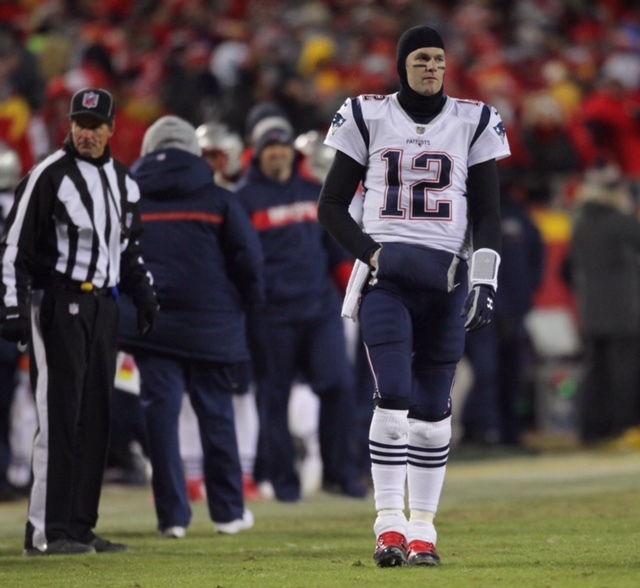 The Patriots beat both the Kansas City Chiefs and the Los Angeles Rams in the playoffs. The Chiefs scored 565 points, the Rams 527 points, numbers one and two in scoring in the NFL. The Chiefs also had the NFL MVP Pat Mahomes, and the Rams had Defensive Player of the Year Aaron Donald. Of course, the Patriots have my favorite drink, B&B — that’s Brady and Belichick — and Brady is called the G.O.A.T. for the Greatest of All Time. Defensive Coordinator Flores was named the new head coach of the Miami Dolphins. Zac Taylor, offensive coordinator of the Rams, is the new head coach of the Cincinnati Bengals. Gladys Knight, the Atlanta legend, sung the emotional national anthem. The city of Atlanta did a great job in hosting the Super Bowl. It was by far the most diverse and culturally enriched Super Bowl in history, making it tough to get around town as more than one million people poured into Atlanta.